There are a number of options for Darius Butler as the offseason carries on into its third week, with the Washington Redskins inviting him for a visit. 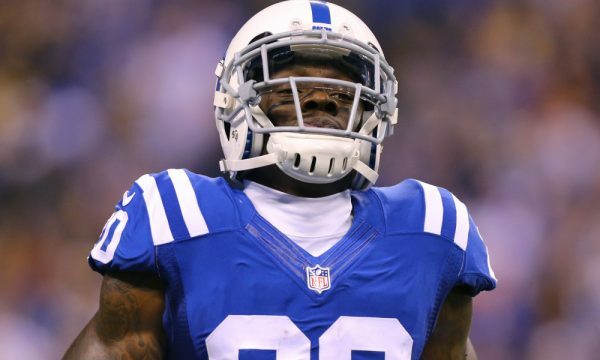 The Indianapolis Colts, the team he played for last, are still an option, and so are the Chicago Bears, showing some interest in him. Butler is probably the best remaining safety in free agency, although it’s hard to really define him by one position. Butler’s main asset is his versatility, capable of playing in a number of secondary roles. While teams view him as a great addition for their depth as well as using him in multiple defensive schemes, Butler might be holding out for a starter role and a bit more money. He made $5 million over the last two seasons in Indianapolis. He’s looking for more than $2.5 million a season, and to make a complete conversion to safety after splitting time with cornerback last season. 31 years old with 103 appearances in the NFL, Butler played 12 times last season and finished with 3 interceptions. Overall he has 15 interceptions in his career, four of them returned for a touchdown. He began his NFL career in 2009 with the New England Patriots, coming out of UConn and getting picked 41st overall. He played two seasons there, one for the Panthers before joining the Colts in 2012. He also has little experience as a return man, but it’s hard to believe anyone is considering him in that capacity. In other news, teams have been busy adding players. The Oakland Raiders signed Jared Cook for two years and $12.2 million; the Miami Dolphins re-signed Jermon Bushrod; the Buffalo Bills match the offer sheet for Ryan Groy, who would have joined the Los Angeles Rams had they not matched; the Baltimore Ravens signed Brandon Carr in a deal that has a series of options for $24 million (4 years), but very little guaranteed; and the New York Jets kept busy by re-signing Mike Pennel and adding Morris Claiborne, another former Cowboys corner.